Please note, although all clearance footwear lines are brand new, unworn product, items may not come in their original packaging. 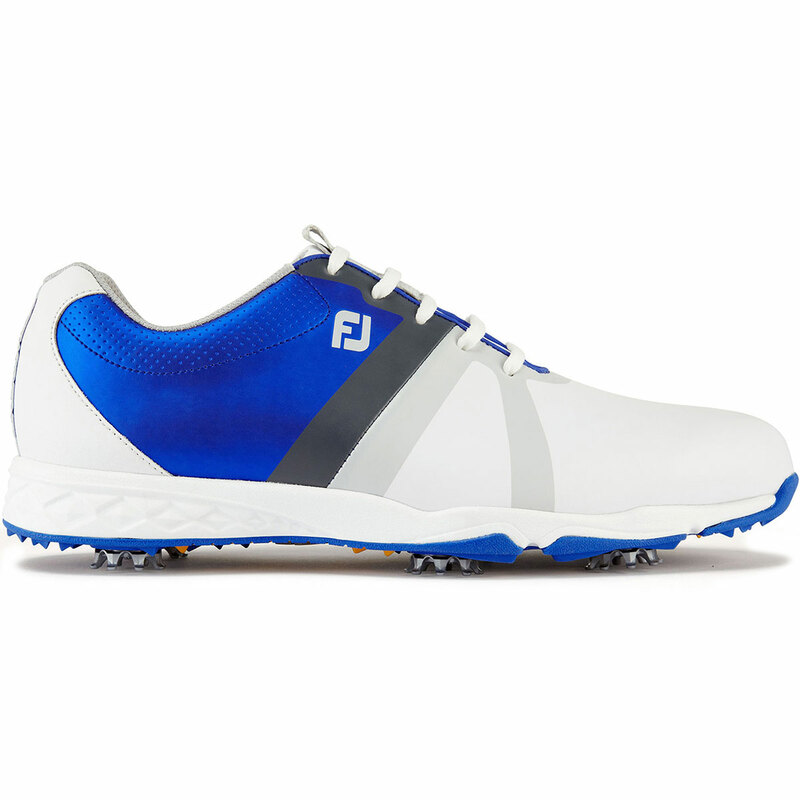 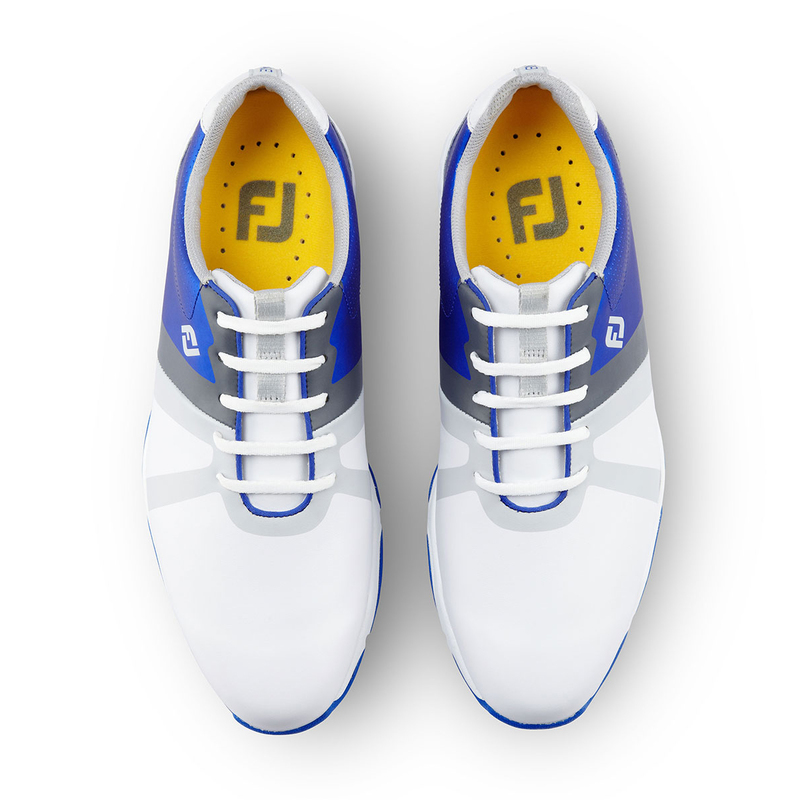 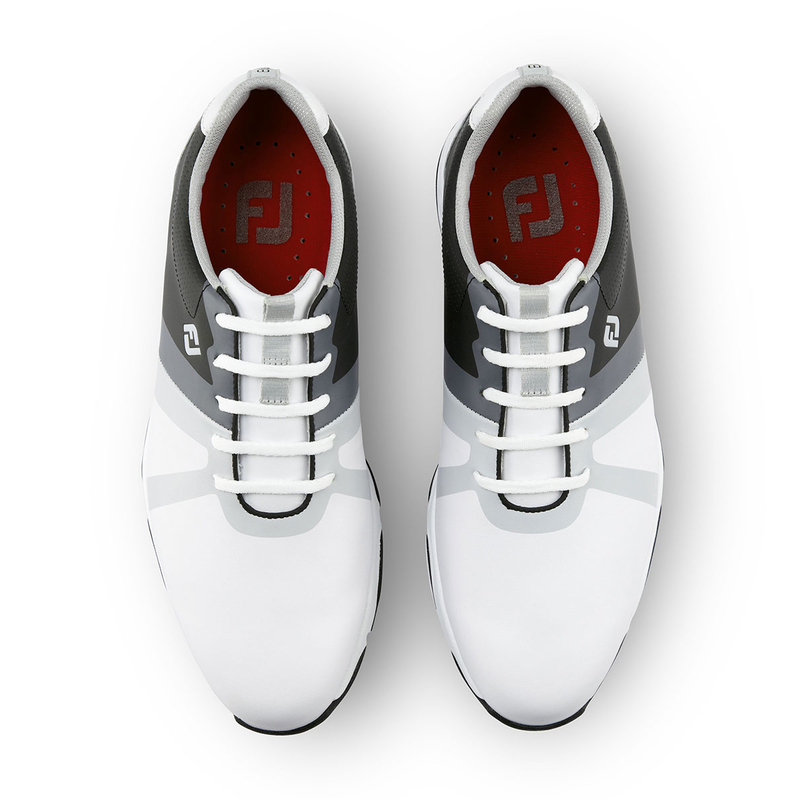 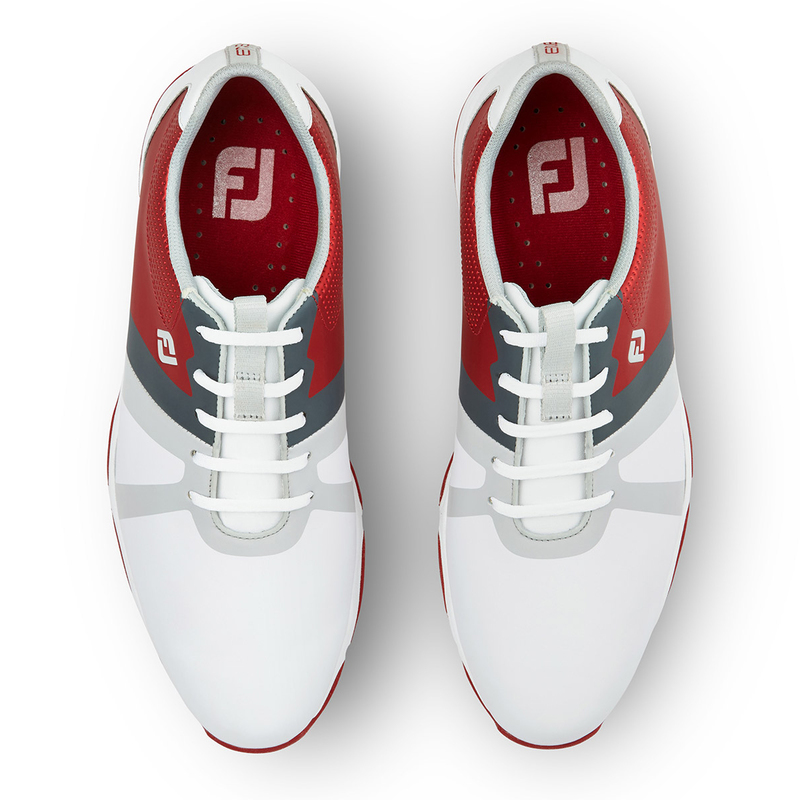 Walk any golf course in complete comfort this season with these incredible shoes from FootJoy. 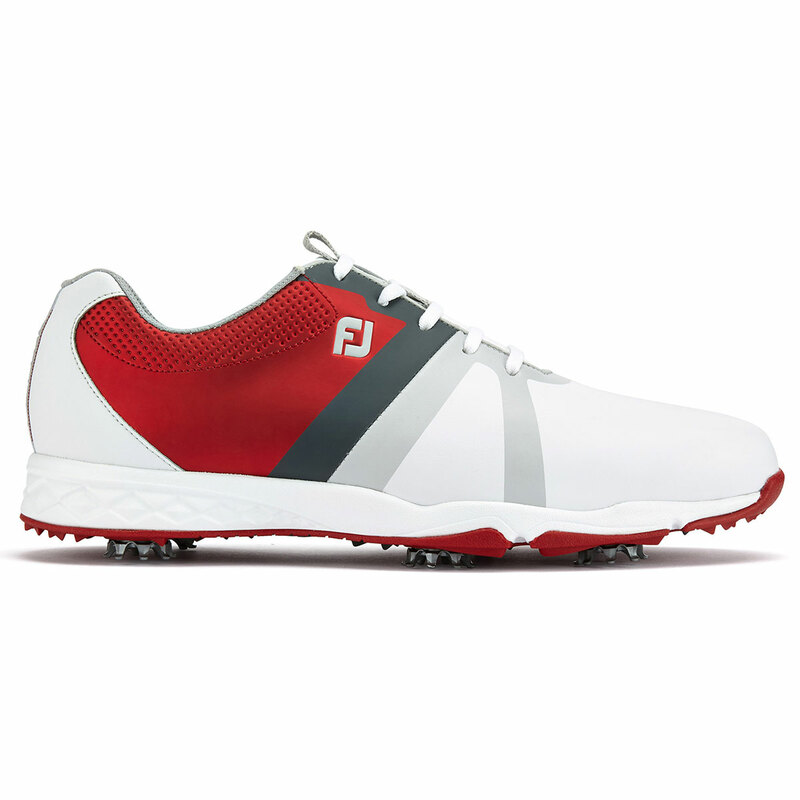 These superb shoes benefit from an Austin Last which provides the fullest rounded toe character, fullest fit across the forefoot, standard instep and heel. 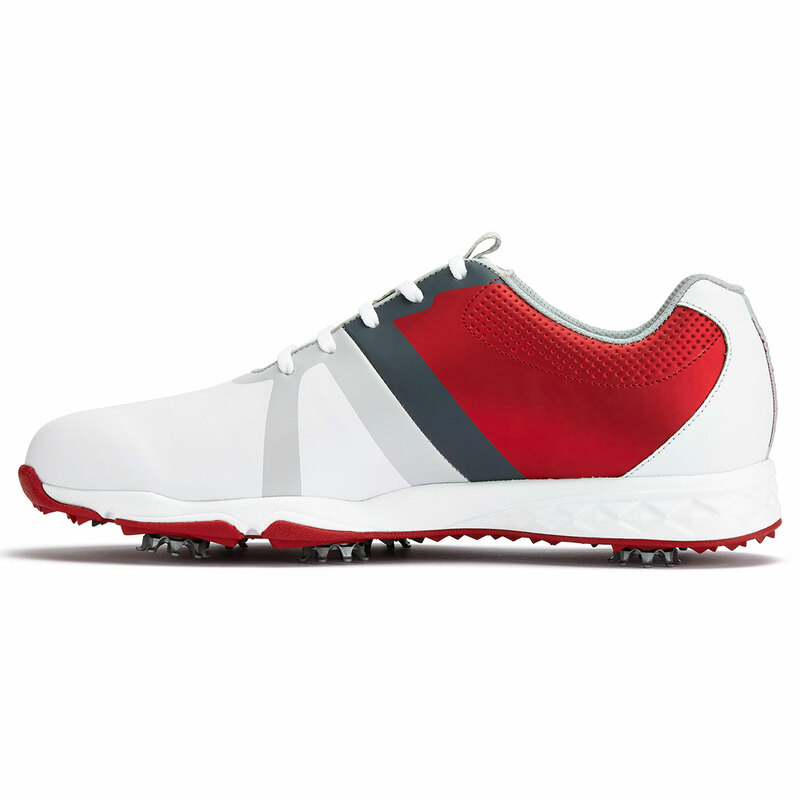 The full grain leather uppers provide soft breathable performance to keep you going across a variety of course conditions. 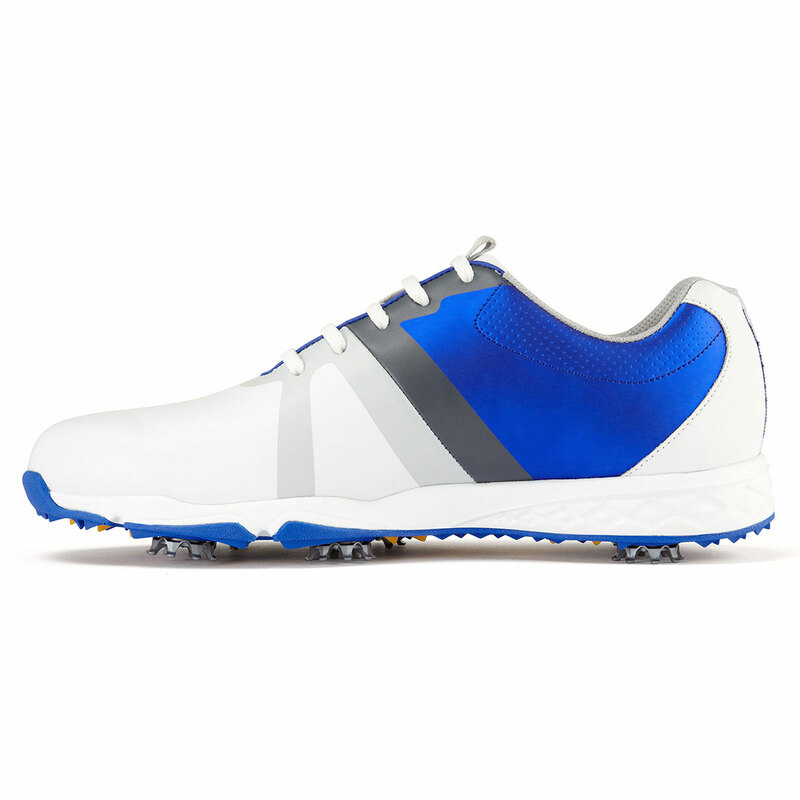 These superb shoes offer superb grip on the turf. 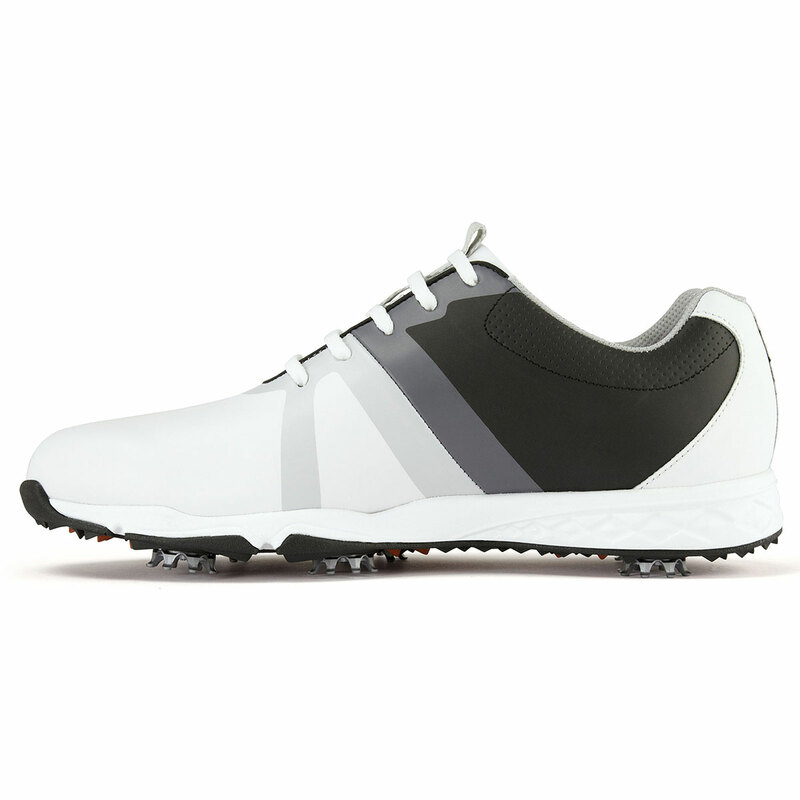 They benefit from Pulsar Cleats by Softspike which are the number one cleat in golf and the overwhelming choice of touring professionals worldwide. The Pulsar cleats feature all the same turf grip and walking comfort advantages of Black Widow plus the additions of and radiused legs for extra durability and cleat webbing for easier cleaning. 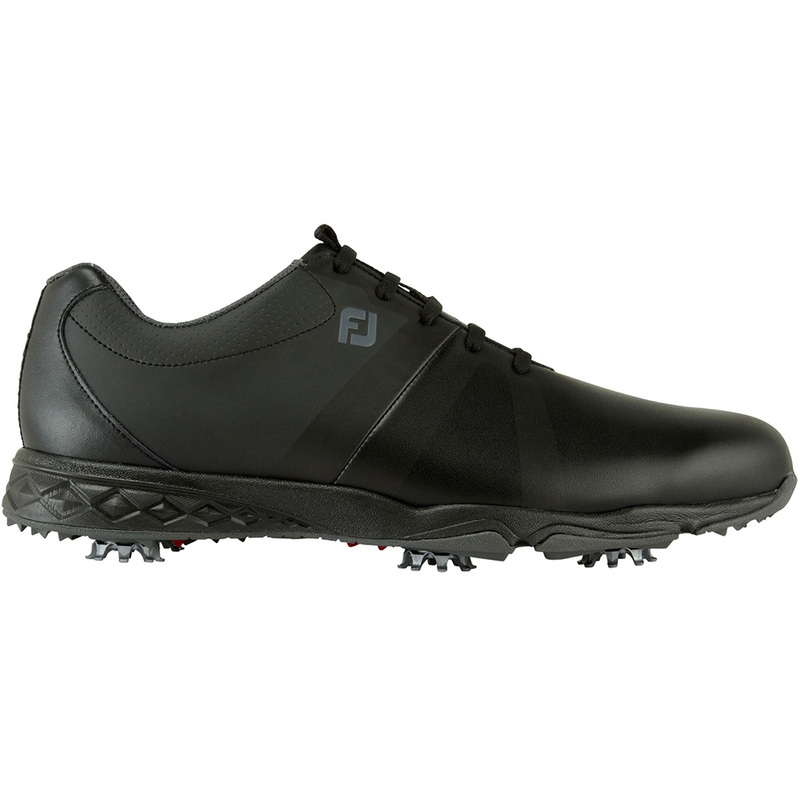 The shoes also benefit from TPU/DuraMax Rubber Spikeless Outsole is durable, flexible and provides greens-friendly comfort and excellent traction. 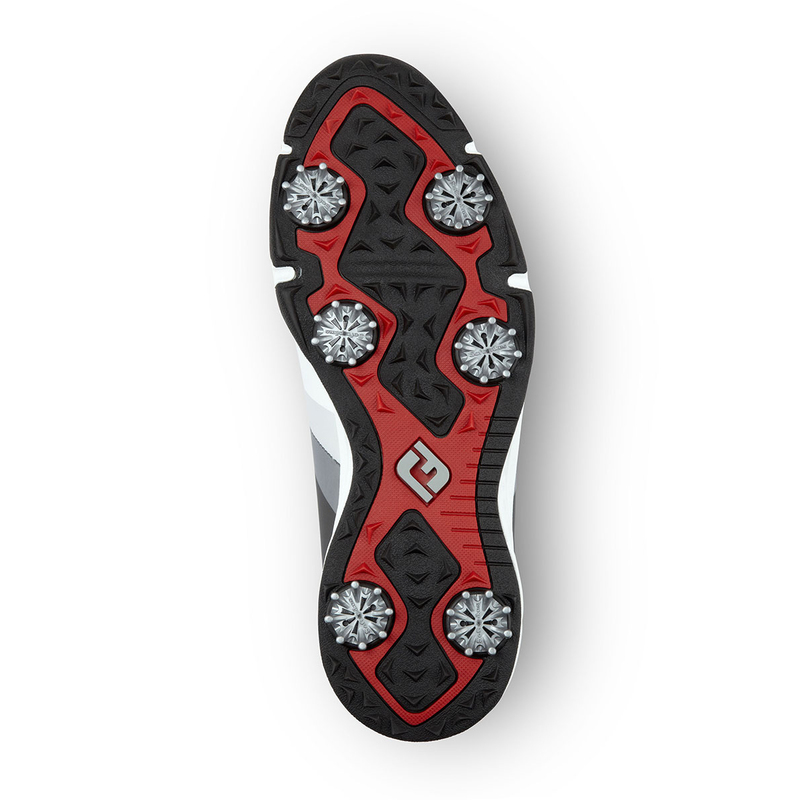 lastly, this shoe has a TourLock Cleat System which boasts unparalleled cleat/receptacle retention. This assures that the cleats remain in shoe under the toughest of conditions.